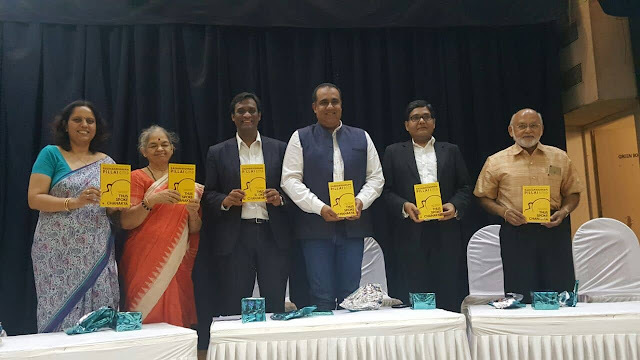 Jaico publishing house recently announced the release of Thus Spoke Chanakya, a book by Dr. Radhakrishnan Pillai at an event in Mumbai. From the title it is obvious that the book revolves around the ideas and concepts of Chanakya, which the author Dr. Radhakrishnan Pillai has already mastered. In the path to success, both the biggest hurdle and the biggest support is your own mind, depending up on how you have trained it, says Chanakya. No school or university teaches us how to make friends, how to have a successful career, how to maintain a healthy married life, how to run a family or how to live life in general. How many times have we wished for a roadmap to navigate the confusing landscape of life, to have a guidebook to show us the way? In his much-awaited book Thus Spoke Chanakya, bestselling author Radhakrishnan Pillai decodes ancient texts from the illustrious Kautilya’s Arthashastra within the context of modern times and doles it out in short, crisp passages for everyday practice and use. Perfect for those who yearn to master the teachings of Chanakya and incorporate it in their routine for overall success. Dr. RadhaKrishnan is the bestselling author of Corporate Chanakya, Chanakya’s 7 Secrets of Leadership, Chanakya in You and Katha Chanakya. He has researched Kautilya’s Arthashastra extensively and has a Master’s degree in Sanskrit. With 20 years of experience as a management consultant and speaker, he heads the Leadership Center in University of Mumbai. Jaico was proud to announce the release of Dr. Radhakrishnan Pillai's remarkable book Thus Spoke Chanakya. You can order a copy of the book from Amazon or Flipkart. To read an interview with the author and a review of his book, click on the links below.